Enacted in 1975, the Fair Credit Billing Act is a federal law that aims to protect consumers from prejudicial or unfair billing practices. 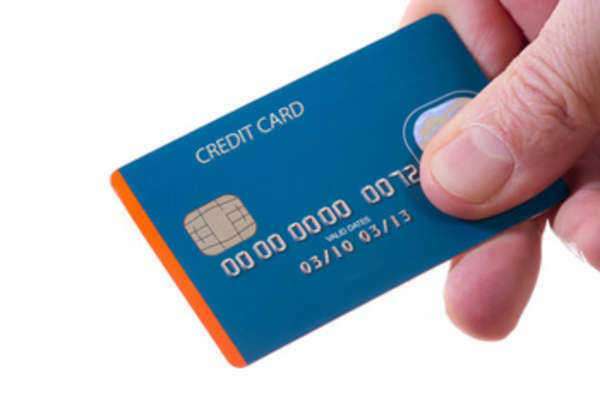 The Fair Credit Billing Act provides mechanisms to quell address billing errors in “open end” credit accounts, such as charge card accounts and credit cards. • Charges that appear on the bill, but were not actually processed by the consumer. Also referred to as unauthorized charges (Federal laws limit the consumer’s responsibility for unauthorized charges to $50). • The consumer must send this letter so that it reaches the creditor within 60 days after the bill, which contained the error, was mailed. • The underlying creditor must acknowledge the complaint letter within 30 days after receiving it. The creditor is then required, according to the provisions of the Fair Credit Billing Act, to resolve the dispute within two billing cycles (maximum of 90 days). • The Fair Credit Billing Act enables consumers to file disputes concerning billing errors by sending written notices of disputes to their creditors. To trigger the provisions of the Fair Credit Billing Act, a consumer must mail a written dispute via regular mail (thru the US Postal Service) to the “billing inquiries” address that appears on their credit card statement. What Happens when the Bill is in Dispute? When the consumer’s bill is in dispute the individual may withhold payment for the disputed amount and any related charges. The withholding period is only active during the course of the investigation. The consumer must pay any remaining part of the bill not in question—this includes interest charges for the undisputed amounts. During the investigation phase the creditor is not permitted to take any legal action to collect the disputed amount and related charges. At this stage, the consumer’s account cannot be restricted or closed; however, the disputed charge may be applied against the individual’s credit limit. How does a Dispute Affect Credit Scores? According to the Fair Credit Billing Act, a creditor may not threaten a consumer’s credit rating while the charge is in dispute. That being said, the creditor may report the dispute to various credit rating agencies. Furthermore, the Fair Billing Act and the Equal Credit Opportunity Act prohibit creditors from discriminating against applicants who exercise the right to dispute in good faith. A consumer, therefore, cannot be denied credit because the individual has disputed a bill. What happens if the Bill is Correct? If the investigation determines that the consumer’s bill is correct, the consumer must be notified immediately--in writing—as to how much he/she owes and why. At this point, the consumer will owe the disputed amount, plus any finance charges that accumulated during the investigation process. If the consumer disagrees with the ruling of the investigation, the individual may write to the creditor within 10 days after receiving the explanation. At this point, the individual can indicate that he/she refuses to pay the disputed amount and the creditor can engage in a collection process. What happens if the Bill is Incorrect? If the bill contains a mistake, the creditor must explain to consumer—in writing—the corrections that will be undertaken to the said account. At this point the creditor must credit the individual’s account and remove all finance or late charges related to the mistake. If the creditor determines that the consumer owes a portion of the disputed amount, the consumer must receive a written explanation as to why. What happens if the Creditor fails to comply with the Fair Credit Billing Act? If the creditor fails to follow the settlement procedures latent in the Fair Credit Billing Act they are legally not permitted to collect the amount in dispute, or any charges attached. For example, if a creditor acknowledges a complaint in 50 days—20 days too late—or takes more than two billing cycles to resolve the issue, they will not be allowed to collect on the dispute (even if the bill turns out to be correct). This provision of the Fair Credit Billing Act also applies to creditors who threaten to report or improperly report such instances to coordinating credit rating bureaus. If a creditor violates the Fair Credit Billing Act, a consumer has a right to file legal action against the entity. If the consumer wins, they will be awarded damages, plus twice the amount of any finance charges, so long as the disputed amount is between $100 and $1,000. The court may also order the creditor to cover the consumer’s attorney fees and costs. • A creditor must promptly credit overpayments and other amounts owed to the consumer’s account. This provision applies to instances where the consumer’s account is owed more than one dollar. The consumer’s account must credit promptly with the precise amount owed. If the consumer prefers a refund, it must be sent within seven business days after the creditor receives the individual’s written request. Additionally, the creditor must make a good faith effort to refund an individual’s credit balance that remains on account for more than six months.